If you want to lose weight then you’ll have to achieve “caloric deficit” whether it’s through diet, exercise, or both. Eating too many calories can negatively affect your weight-loss. That includes both unhealthy and healthy food so it’s important to watch your portion sizes. An interesting problem when trying to lose weight is eating too few calories. The reason is that it can actually slow down your metabolism and cause muscle loss. The key is to cut calorie the right way. That includes eating small amounts of several nutrient rich foods so you’re getting enough healthy calories. Why is fiber so important when you’re trying to lose weight? Studies reveal that a kind of fiber called “viscous fiber” can help to reduce your appetite. That’s because it can form a gel that retains water. The gel then moves gradually through the digestive tract so you feel fuller. How about other types of fiber? They can also help with weight loss but it’s viscous fiber that lowers calorie intake and appetite more than all the other kinds of fiber. Studies show that doubling how much fiber you eat every day can result in the absorption of 130 fewer calories. Should you have weight loss goals? This is important because it can help you to stay motivated. However, the problem is that overweight and obese people often have unrealistic goals. This often causes them to drop out of diet programs within one year. The solution is to have expectations that include realistic/modest goals. If you take this approach it can help to prevent you from getting discouraged. You’ll then stay on track and keep moving towards your weight loss goals. If you beat your expectations you’ll be even more motivated to reach your goals. Eat your veggies! Experts recommend that you eat 2.5 cups of vegetables every day. It’s important to add veggies to all of your meals when possible. That even includes breakfast when you can add veggies that are heavy in the water like tomato, cucumber, and lettuce. One of the problems that people have when trying to eat more vegetables is the taste. However, the key is to use preparation methods including herbs/spices that will help to make them taste better. Also, avoid overcooking the veggies so they’ll have texture and more nutrients. Here’s another mistake people often make when they’re on weight loss programs. Make sure to avoid foods that are highly processed. Several different studies have connected them to health conditions and obesity. A better option is whole foods that haven’t been processed at all. That includes fruits, vegetables, whole grains, fresh meats, and real milk products. If you’re on a diet why is this such a bad idea? These foods are often low-calorie and low-fat but they also tend to contain a lot of sugar in order to make them tastier. A better option is to eat a wide variety of foods that have little or no processing. For example, low-fat yogurt with fruit seems to be healthy. However, a better option would be plain full-fat yogurt. You can avoid a lot of sugar that’s often added by adding your own fruit. The problem with low-fat dairy products is that there’s usually a filler like salt added to replace the fat. It might seem practical to just drink orange/grapefruit juice for breakfast since you’ll be eating fewer calories. The problem is that they usually boost blood sugar, which causes your body to make more insulin. That will cause you to get hungry later and over-eat. It’s important to eat more protein and fiber including eggs, low-fat meat, whole-wheat toast, and oatmeal. It’s still important to have fresh juice or fruit in the morning since it’s a great way to get Vitamin C and energy in the morning. However, it’s just important to add protein and fiber also. It’s important to eat protein but you shouldn’t overdo it. That’s because if you eat too much the extra protein becomes fat. Another issue is that many protein products like shakes and bars are often high in sugar and fat, which cause other issues. It’s important to note that most fruits and vegetables have enough protein for your recommended daily allowance. You can also use non-meat sources like beans. Should you use low-carb and ketogenic diets? Studies show that they can actually very helpful if you want to lose weight. They can reduce your appetite so you’ll eat fewer calories. 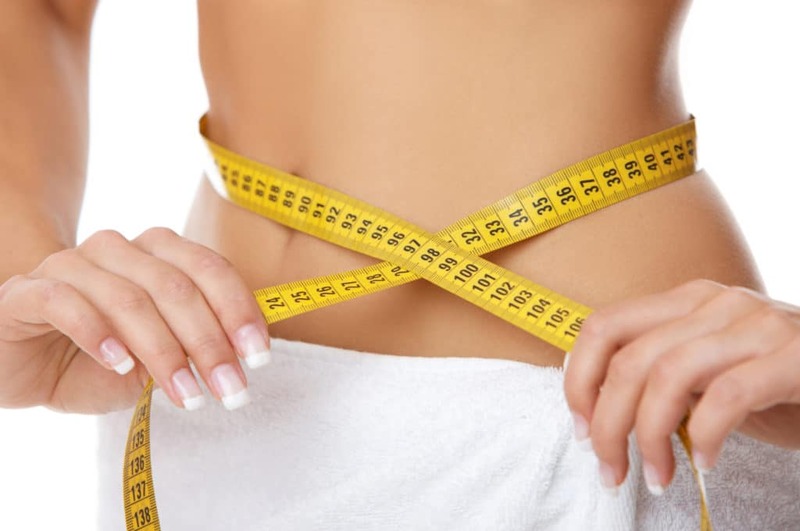 The problem is that many of these diets allow any amount of fat since the assumption is that the weight loss will offset it. The problem is that if you add too much fat to your food/drinks and you’re unable to lose weight the problem could be the fat. An important fact is that fat has 2x the calories of protein and carbs. It’s important to read the ingredient labels of food and beverages so you’ll know what they contain in terms of calories and ingredients. As a general rule if it’s hard to pronounce ingredients then they’re unhealthy. Make sure to avoid foods with high amounts of sugar, fat, and salt. You should also stay away from foods that have artificial flavors, colors, and preservatives. An interesting study showed that people about 2x more when they were told that their 1-mile walk was for exercise compared to those who were told it was fun. This shows that many people believe that they’ve earned some unhealthy food. The problem with this approach is that it has a negative effect on weight loss. There’s nothing wrong with treating yourself to a cheat meal once a week or so if you’ve been diligent with your dieting and workouts. However, regularly eating a dozen donuts after a workout is a bad idea. It’s important to note that most fruits/veggies have enough protein for your daily needs. However, it’s still important to get enough protein and from various sources. They include chicken, fish, beef, and pork. There are also several good plant-based sources including beans. Why is protein so important? In one study people who got 30% of their calories from proteinate an average of 575 fewer calories each day compared to getting 15% of their calories from protein. This is due to protein-boosting metabolism, causing you to feel fuller, etc. The old-school weight-loss advice was that you should eat every 2 hours to keep your blood sugar up and avoid your metabolism dropping. The problem is that your stomach might not feel 100 full and it can result in eating too many calories. A related type of advice is that you should never skip breakfast. An interesting study showed that when people skipped breakfast they ate more at lunch but ate about 400 fewer total calories during the entire day. When you fast for 18-20 hours you can also lose more weight because you get energy from fat. Adults should be getting about 7-8 hours of sleep per night. You might need more if you’re doing heavy work or exercising during the day. Studies show that there’s a link between your appetite and the amount of sleep you get. If you suffer from sleep deprivation then you’ll be more likely to eat more, which will have a negative effect on your weight loss program. There are times when it will be tough to get a full night’s sleep. Try to get 7-8 hours to sleep almost every day to make sure you’re on track to reach your weight-loss goals. Sometimes it doesn’t seem that you’re making progress on your diet. You might be sticking to it but your scale weight isn’t dropping fast enough. Keep in mind that weight can change up to 4 pounds (1.8 kilograms) on any given day. There are several factors that can affect this number including your food/drinks, hormonal changes, water weight, and muscle mass. These are all factors that can affect your scale weight so keep in mind that even if that figure isn’t dropping you might be losing body fat. Soft drinks, energy drinks, and fruit drinks tend to be loaded with sugar. Since sugar turns into fat these types of drinks can be counter-productive in losing weight. If you want to lose weight you should generally only be drinking water and fresh coffee or tea. Fruit/vegetable juice can be healthy if you make your own and avoid adding sugar to them. If you want to add sugar to your drinks the only option you should consider is cane/raw sugar. Make sure to only add a small amount to minimize calories. This could include lifting weights or using body weight as part of your resistance training. These exercises are important for boosting your metabolism and increasing muscle mass. It also helps to increase the loss of body fat and improve your overall body condition. Studies show that the best weight loss program includes cardio and weightlifting. So if you want to maximize how much weight you lose it’s a good idea to include both in your workouts. Using different types of exercises will also to prevent you from getting bored when exercising. Experts usually say that about one-quarter of weight-loss is due to exercise. If you’re having problems losing weight it might be a result of not exercising enough. That includes both weight resistance and cardio training. There’s a lot of debate about whether you should do calorie counting when you’re on a diet program. However, it’s a big mistake to do no tracking of what you eat. What should you track? Make sure to keep track of your calories whether it’s an estimate or exact. You should also keep track of how much protein, carbs, fat, and fiber you’re getting on a daily basis. Taking this step can give you a more accurate snapshot of your calories/nutrients. It will also help you to be more accountable to yourself about your weight-loss. Exercising can indeed boost your metabolism. However, if you’re overweight or have an average weight you should over-estimate how many calories you burn during exercise. 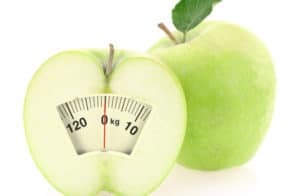 The problem with over-estimating the number of calories you burn when exercising is it can result in over-eating because you’re using bad math to figure out the caloric deficit. This doesn’t mean you shouldn’t exercise. 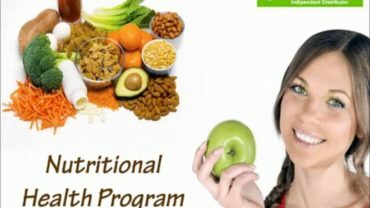 It can be very helpful in a weight loss program but it also can’t offset a bad diet. In fact, people often only burn 200-300 calories during one workout session. You might be surprised that over-exercising can also cause problems losing weight. It might negatively affect the production of hormones that regular your body’s stress response. If you’re going to exercise as part of your weight-loss program it’s a good idea to take 1-2 days off so your body can recover. This will help to regular your hormones and maximize weight-loss. These are some of the biggest 20 Mistakes When Trying to Lose Weight. Knowing them will help you to make adjustments to your program to get the best results. The good news is that every possible mistake when trying to lose weight has been made. As a result, if you learn from them you can avoid making the same goof-ups that tons of other dieters have already done.